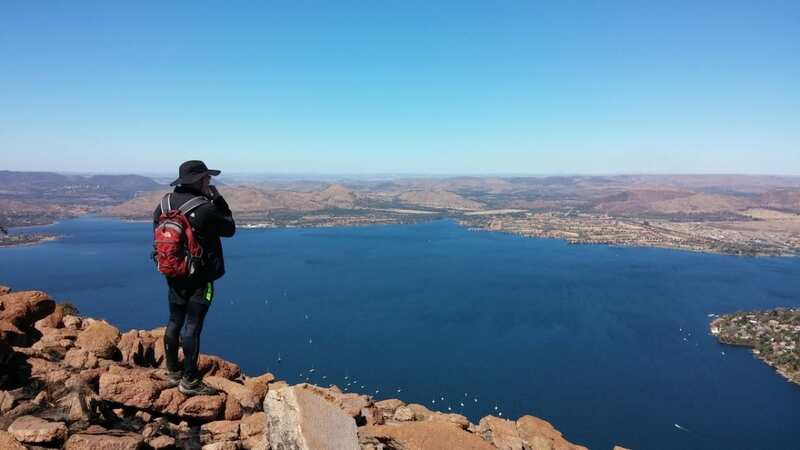 The trail is long, strenuous, followed by steep climbs but with rewarding views of the Hartebeespoort dam and Magaliesberg mountain. Hiking boots or trail shoes are mandatory. Cancellation less than 30 days from hike date = No refund. Cancellations 30 days prior from the hike date: 80% refund of paid amount. Cancellations due to extreme weather conditions = 50%. Any other cancellations (excluding the above) by Actvyt = 100% refund of the paid amount. The registration fee includes Reserve entrance fees, Morning Coffee, Power bars, Refreshments: sports re-hydrate, water, soft drinks, Trail snack / fruits, Paramedics, Trail guides with first aid, Finisher’s medal. The hike will be guided by a certified fitness coach with advanced first aid level, and there will be other guides who will assist with the hike. All applicable reserve entrance fee are included in the registration. MUST be active and willing to hike for +/- 5 hours. Have FUN and ENJOY! Hiking is all about the friendships, fresh air and places that only YOU will ever see. Take the time to have fun with your fellow hikers, stop and smell the flowers and make wonderful memories as you can.